Everyone have a safe trip home after the holidays? These turtles did, too—one step closer to home, at least. On one of the busiest air travel days of the year, a volunteer pilot flew 30 critically endangered rescued sea turtles from Boston to Baltimore on a private jet. These were 30 of the most endangered sea turtles in the world that took to the skies Sunday morning, flying from just south of Boston to Baltimore on one leg of a long journey to warmer waters and wellness. 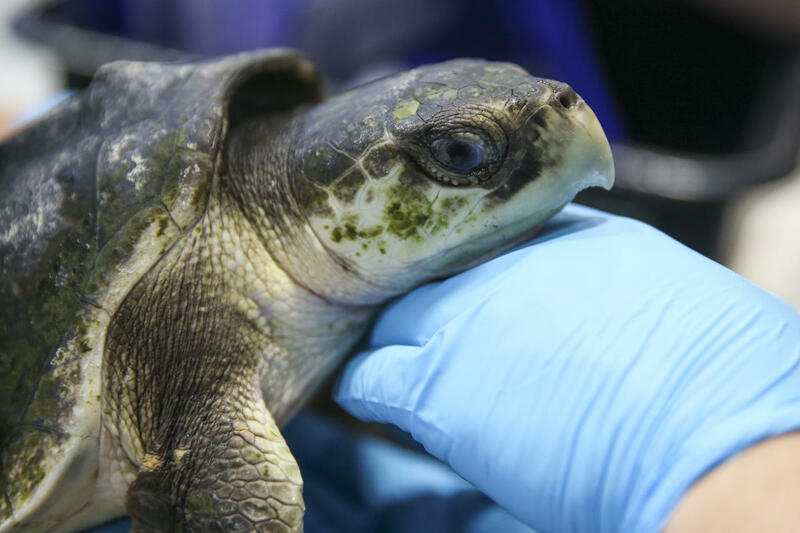 As more than a hundred hypothermic sea turtles have been rescued over the last 10 days on Cape Cod and with no end in sight, the New England Aquarium’s sea turtle hospital in Quincy, MA, is at capacity. Biologists there are looking to move re-warmed and stabilized sea turtles to other rehabilitation facilities throughout the East and Gulf coasts. 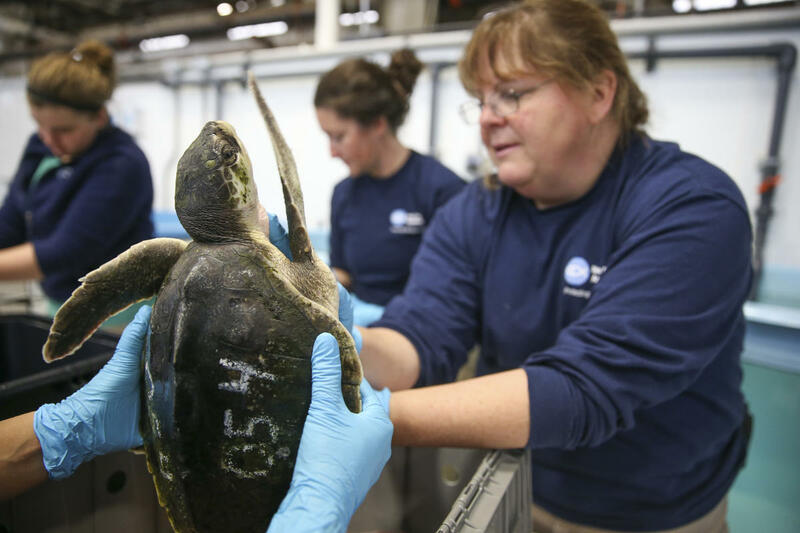 Just before Thanksgiving, 15 sea turtles were driven from Quincy to the National Marine Life Center in Bourne, MA. 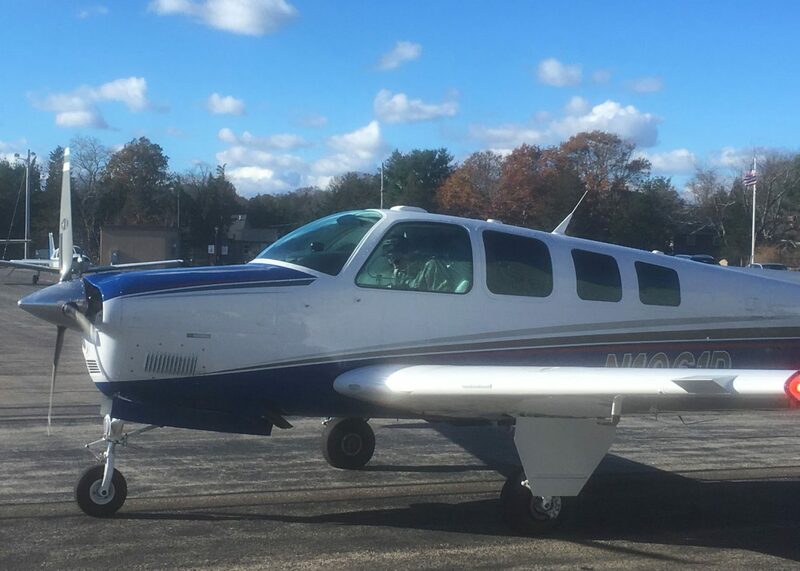 On Sunday morning, 30 Kemp’s ridley sea turtles were flown by Steve Bernstein, 47, of Montclair, N.J., with the volunteer general aviation group Turtles Fly Too from Marshfield, MA, to the National Aquarium in Baltimore. Over the past several years, the volunteer pilots of Turtles Fly Too have transported more than 500 endangered and threatened sea turtles from the New England Aquarium’s care to dozens of rehab facilities in Texas, Louisiana, Florida, Georgia, South Carolina, North Carolina, and other states for further rehabilitation and eventual release back into the wild. Air transports are exceptionally valuable in reducing the stress on recovering but compromised sea turtles, as ground transports might take two or three days. 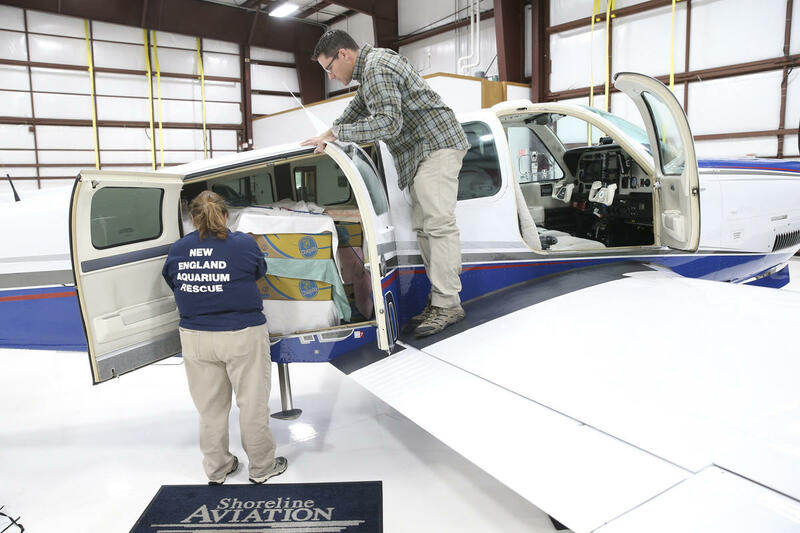 Volunteers pilots from both the business and general aviation communities donate their planes, time, fuel costs, and skill in helping three species of sea turtles make a steady recovery. Read more about this transport and see more pictures by the Boston Herald.